All one solid group. 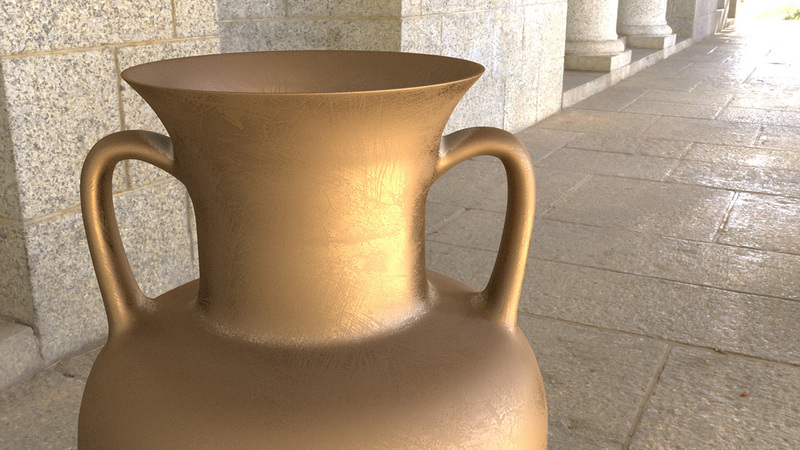 You can see the straight copy, outside to the right, before I deformed it with Vertex tools. Thanks HornOxx. Had brain fade. Should have shown proxy right before SubD..... so here it is ! Here's one you don't automatically think of using SUbD on. I created the threads using a standard 24 segment circle in the usual manner, then tapered them using FredoScale. Then using QFT I converted all the faces to quads so I could SUbD it and get these lovely smooth spindles. The rest was added after the SUbD. the modelling is brilliant! as well as the quality of the metal representation in your render! Thanks HornOxx, but there's always something that catches you out. To me the colour of the screws and the shape of the galvanized bracket just aren't right. But this is a SUbD thread so it's not so important. The spindles would be another good one for your tips And tricks thread. Here's a study of a custom golf club I cranked out for one of the partners in my firm. Make of that what you will. Fun to model tho. Something to keep in mind, SUbD and using quads isn't just about smoothing faces, the quads allow so much more control of the faces that make up your shapes. The grid structure of the quads let me use Components onto Faces (onto Face Collections) to position all the cones evenly. I could add and remove loops to thicken areas and thin others very easily too. 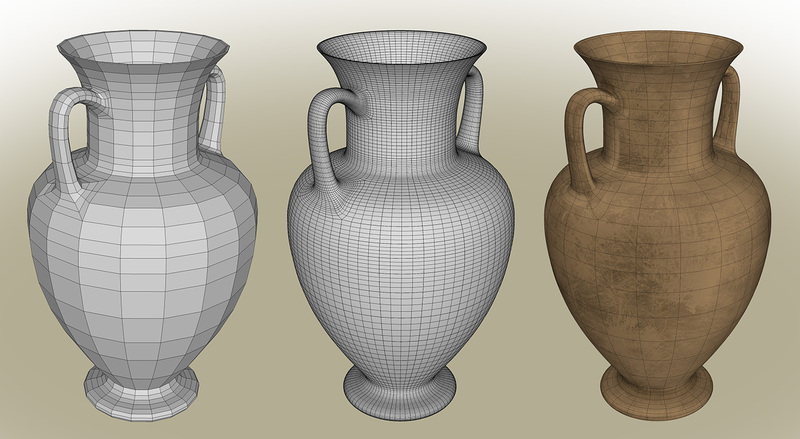 I'm happy to see how quad-based workflows have caught on within SketchUp users. For a while I felt like a raving lunatic back when I first created QuadFace Tools. Always great to see your creations Box! Yeah something odd happened there Thomas. They look right before using SUbD but you get that odd line of wobble. It was inside so I wasn't too concerned. The QFT convert often needs a bit of fixing. Do you have the control mesh so I can have a look? ... what a cool idea again Box !! - is this the way you created your cool "galaxy-like flying" lights recently? - somehow with a hidden quad geometry then? but why aren't the prickles(?) inside too? TeKnoel wrote: ... a custom golf club I cranked ... Fun to model tho. a well chosen SubD application example, Prima! The file is on a different computer, but I'm not sure if I still have the control, I normally unsubd them when I start playing around with them and render, as sometimes it seems to effect the render time. So I probably saved it unSUbD'd. I'll have a look tomorrow. HornOxx wrote: but why aren't the prickles(?) inside too? It was too much with them inside, needed a bit of contrast. Bit hard on the mollusc too. Here's a quick shell I'm trying to get right, but too sleepy now. So maybe later. Just some late night fooling around.... made the little star shape.... now what..... copied around and such.... I think it's a bracelet ? Modeled big and scaled down, finished "bracelet is about 4" diameter. I got to get a life . tuna1957 wrote: Just some late night fooling around.... made the little... . Very very new to using Quad face tools and SubD. Tons of respect and appreciation to Tom Tom for creating these tools. Nirajp18 wrote: ...Tons of respect and appreciation to Tom Tom for creating these tools. Last edited by HornOxx on Sun Feb 10, 2019 8:33 pm, edited 1 time in total.